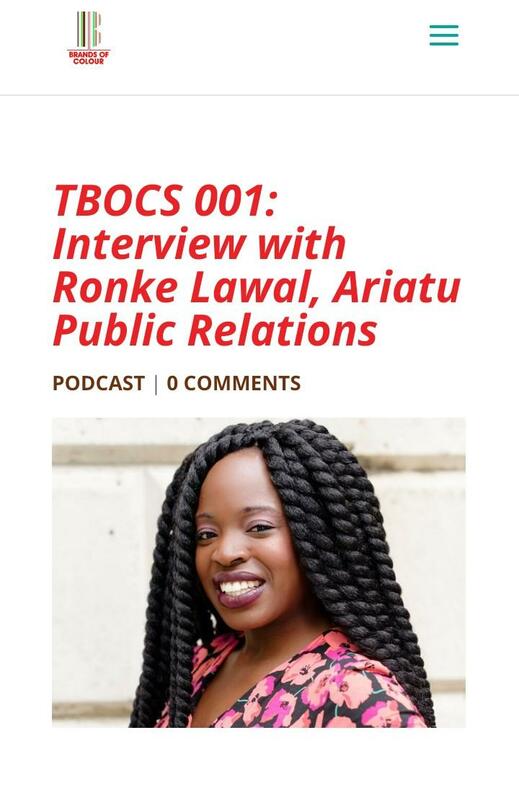 I recently had the pleasure of being interviewed by ‘The Clarity Architect’ Danielle McDonald, Founder of Brands of Colour for The Brands of Colour Show. This series of podcast interviews features a range of awesome entrepreneurs within the Black British community who share their inspiring journeys, business strategies and tips, their challenges and how they are winning in business. It was a pleasure to share my story with Danielle and share some great laughs too! Having a space to share these stories is so important particularly for those who want to be encouraged to follow their dreams. Tune in and get sharing!